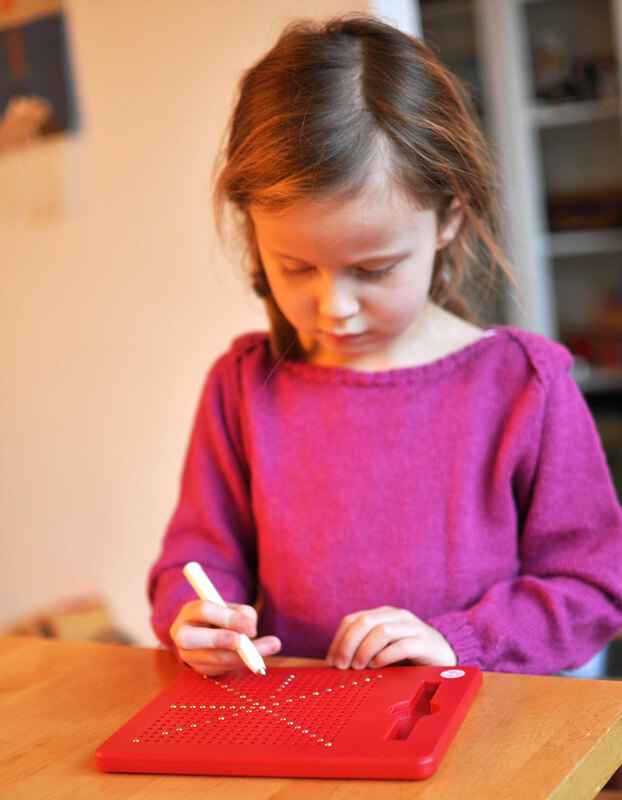 kidO magnatabs is an ingenious toy that works with little metal beads which are permanently sealed in the plastic magnatab base and a magnetic pen that brings the beads to the surface once you draw over the base. The geometric creations simply erase with your finger once you’re done. It’s incredibly simple, but it’s the kind of toy that my kids pick up all the time — Casper (2) loves playing with it as much as his big sister Sara (9) does. 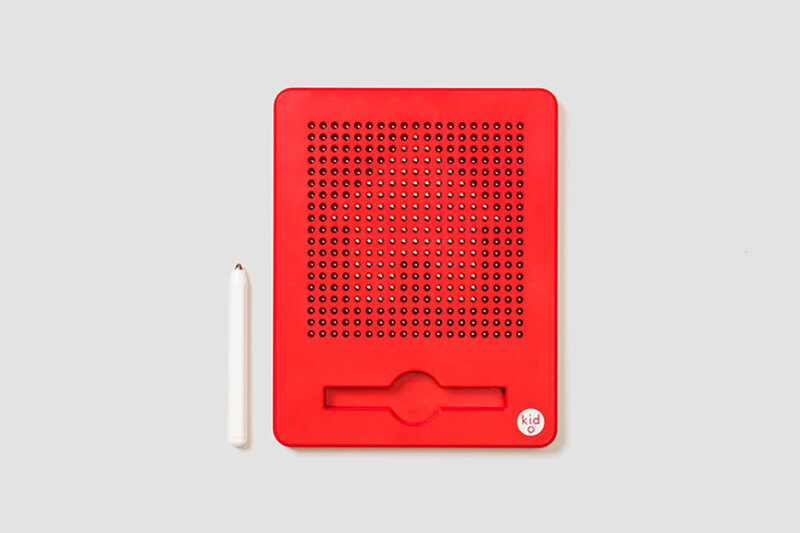 The kidO magnatabs are great for traveling as well — it doesn’t take up a lot of space in your luggage and will keep children perfectly entertained in the back of the car, the train or the plane. I got ours at the adorable brick and mortar children’s boutique Big & Belg here in Amsterdam, but Perfectly Smitten sells it online, or you can get it from Amazon (US or UK ). Totally agree! This is such a great activity and easy to tuck into my bag with no chance of losing any pieces along the way. My kids (6, 4 and 2 yrs old) equally enjoy it. My son who is ASD is also comforted by the sensory aspects to it. I just ordered a Magnatab for my kids for Valentine’s. So happy to hear such a great review! What a fun idea, am off to look on amazon, thank you! Couverture & the Garbstore sells them, too! They are really awesome. My niece (7) loves it!